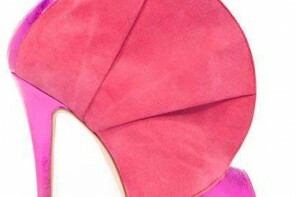 It’s Friday, folks, and that means it’s time to get our Louboutin on. It’s a hard life, but someone’s got to do it. 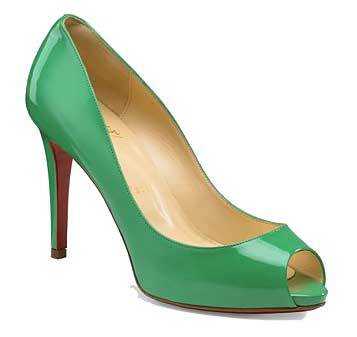 For today’s Friday Fix, I present the Lady Claude peep toes. Now, you may think these are just a simple pair of peep toes, but when M. Louboutin is involved, there’s no such thing as “just” a simple anything, so as well as the perfect peep-toe shape, these also come in a glorious, green upper. 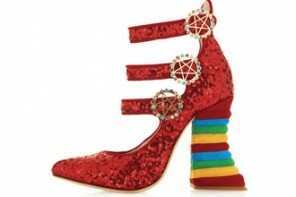 Have a fabulous, shoe-filled weekend! .-= Ally C´s last blog ..I Love Thursdays =-. I loved the color! Like one of your cardigans, mmhh? One that you posted one of these days! .-= Denise´s last blog ..Almost done =-. Stunning. I have a similar pair in peacock blue and I lovelovelove them. .-= Tracey´s last blog ..The Full Monty =-.